Last weekend was summer, hope you enjoyed it. I was lucky enough to head out on the Island and get myself to the beach. 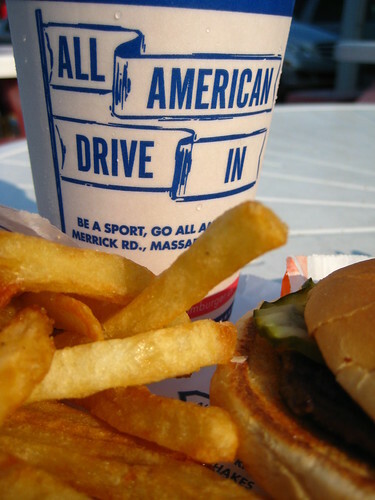 And Long Islanders know that the best part of a beach day is stopping by All American Burger on the way home! 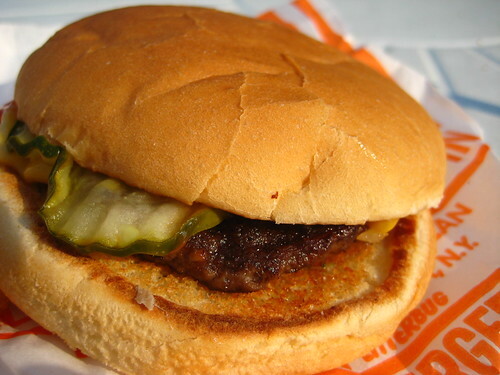 All American is great because the burgers are so cheap and yet so good for a fast food burger. I almost always get the cheeseburger-if I'm really hungry I can get a double double or a quarter pounder-fries, and a shake. The turn-over here means that everything stays pretty fresh. I don't think I've ever gone and there's not a line. My fries are always crispy, greasy, and hot. You have to be careful there though, they don't automatically give you ketchup, you HAVE to remember to ask for it. But the best part are the shakes. They're thick, but not pucker-face thick. 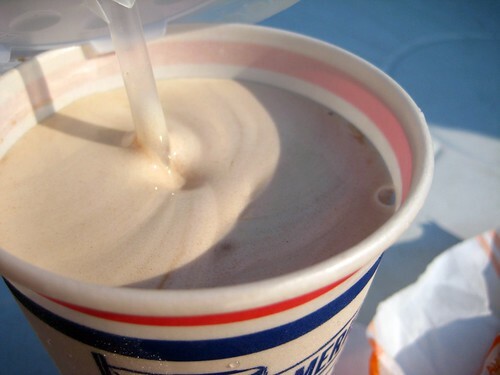 They taste as though they're made with real ice cream, not a fake mix, really homemade shakes. Delicious. This is such a special place. It has barely changed. 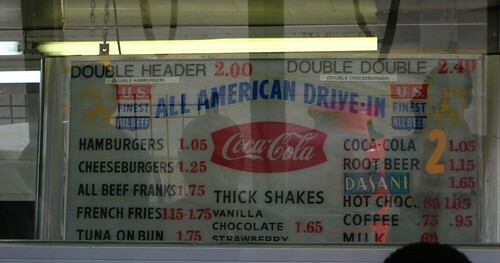 I always get fries, quarter pounder and a vanilla shake. There is nothing like it in the world.